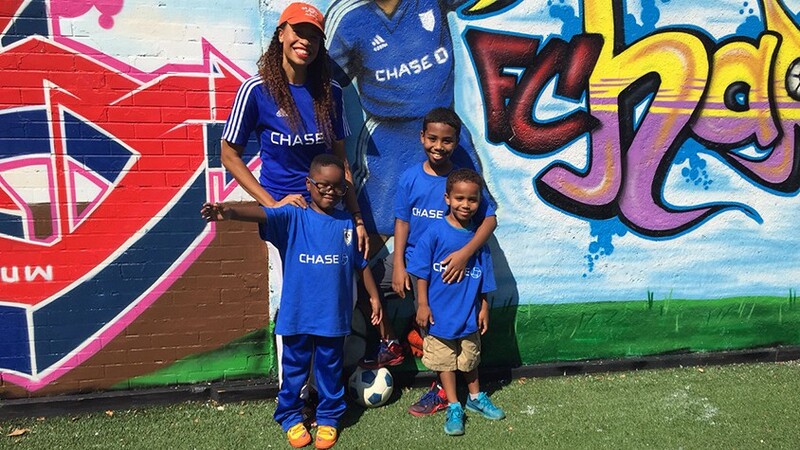 Chase is a sponsor of the FC Harlem LIONS (Leaders In Our Neighborhoods) soccer club. 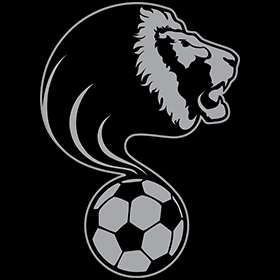 As part of this sponsorship, funds from Chase and other sponsors will contribute towards creating the first covered soccer field in Harlem to help FC Harlem provide year-round youth programming. The covered field project has broken ground and is expected to be completed by September 2016. In 2010, the FC Harlem boys’ soccer team drove from New York City to Chicago to compete in a national championship tournament. It was the first time many of the team members had left the New York area, packed for a trip, or stayed in a hotel. As they explored downtown Chicago, they were noticed in their maroon and gold club jackets with the custom-designed lion and shield logo on their chests. A few of the boys told the organization’s executive director, Irv Smalls, that they felt famous, that they felt important. They’d gone to Chicago for the competition, but came home with so much more. After seven years working at Major League Soccer, he made the jump to Harlem Youth Soccer. He spent hours walking around the community at first, seeking an empty patch of concrete that he could potentially convert into a soccer field. The process raised plenty of eyebrows. “My own community was like, ‘What are you up to? We don’t play soccer. You’re trying to change the neighborhood. You’re coming here in your suit, trying to change the community,'” he said. When Smalls heard the name FC Harlem was part of the club’s early identity, he had the name officially changed. 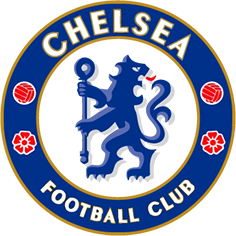 The next step in the rebranding was a new logo and jerseys, then partnerships with the Premier League’s Chelsea FC. When the team was invited to an event in Manhattan to see David Beckham, Smalls instead convinced Major League Soccer and the stars to come to Harlem. “It helps encourage [our boys] to be really future-minded and to think about what they can do, what the possibilities are just by seeing [Beckham and others] coming to the community,” said Smalls. The boys have also visited the JPMorgan Chase headquarters in New York, the Google headquarters in California, and elite high schools across the country for a look at the doors that are open to them. Late next year, they’ll unveil the biggest addition yet: A year-round covered soccer facility in the heart of Harlem, thanks in part to support from Chase. Smalls plans to expand the program in the coming years, adding a clubhouse and an afterschool program. For now, though, he is concentrating on the new facility.